Congratulations to Amanda who sent these touching pictures in with lovely a message. Thank you for making the La Bassine pools available to our local community. 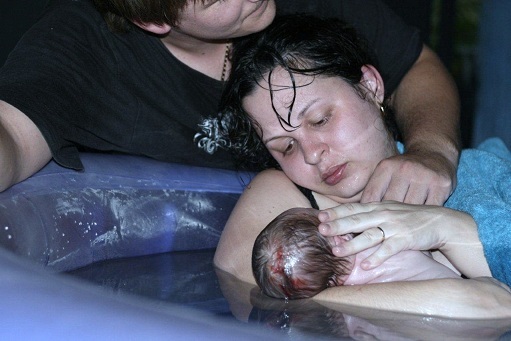 We had our wonderful homebirth after caesarean at home in water, in a La Bassine of course, on the 22nd March 2010. It was brilliant to be able to move so freely in the water and just magical as my baby emerged and floated up for me to lift her onto me. I highly recommend water birth and the La Bassine to any woman.